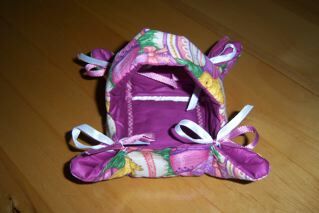 Are you looking for an a tual basket? I'm thinking with Lynnie that she's looking for a real basket. 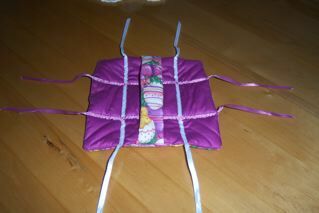 http://www.quiltingboard.com/picture...r-t181891.html This is what came to mind ~Hope it's what you are looking for. oh that is REALLY cute! Not sure my grandboys would like it, but I do! 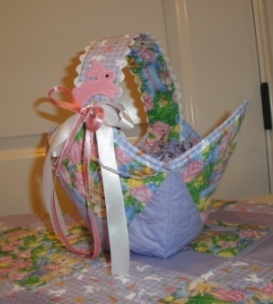 What a cute wall hanging for Easter - love it. That is so cute! Thanks for the link! Thank you Phannie. I had already made the Mexican Star Basket and thought this was so similar. Your Easter Basket is adorable. This may not be what U R looking for. Easy and quick to make. Let me know if U need directions?